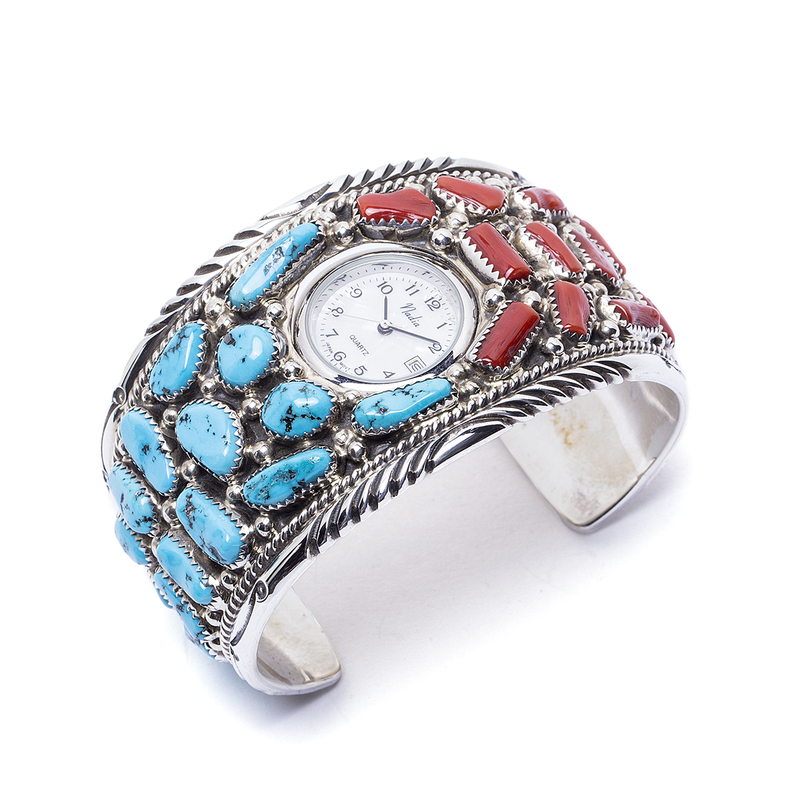 Surprise him with a stunning traditional Navajo watch by Navajo artist Tommy Moore. 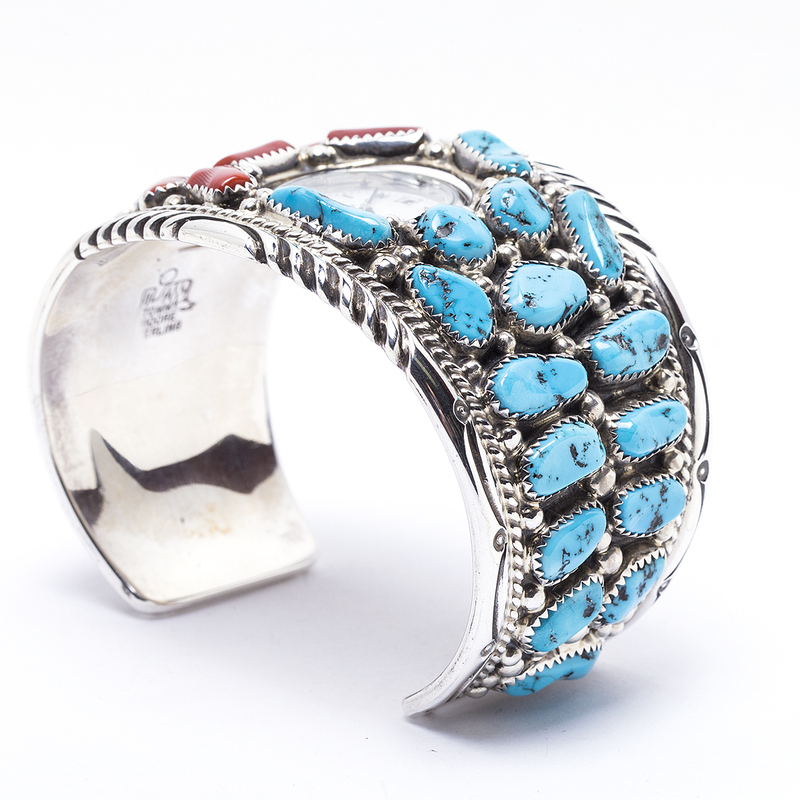 This renown Native American jeweler is well known for his cluster work. 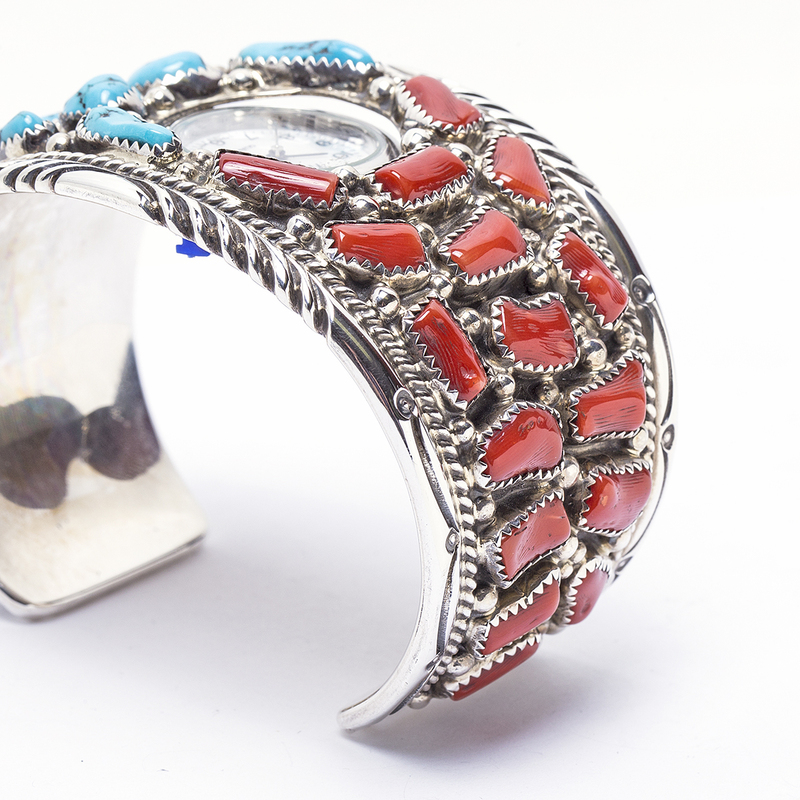 It features an array of Turquoise and Coral wonderfully spread across each side of the cuff, embedded in Sterling Silver. 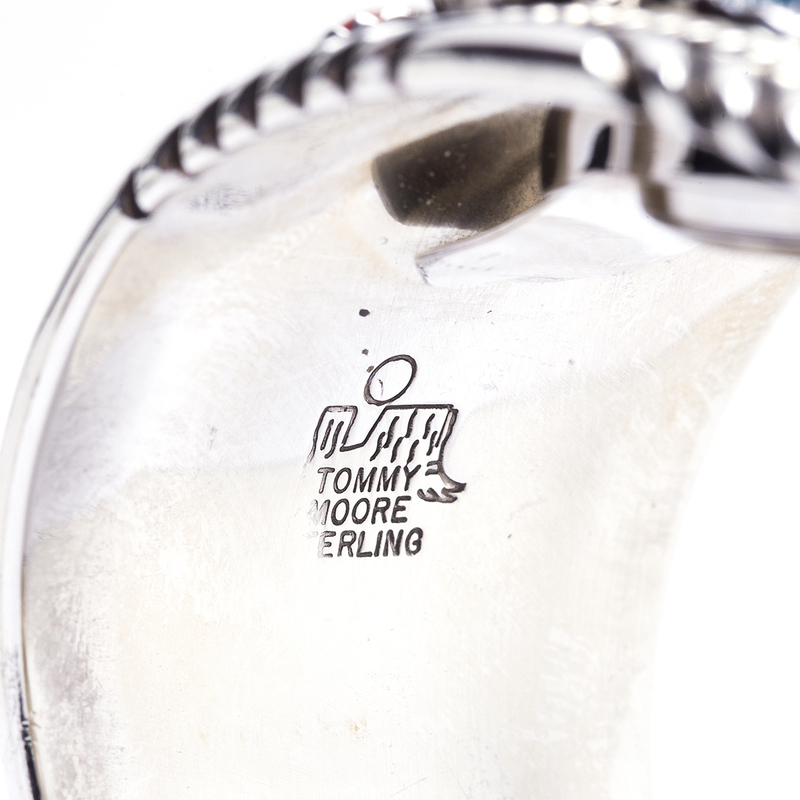 This watch is hallmarked “Tommy Moore” and “Sterling”. We also offer free gift wrapping with each purchase! Just ask. 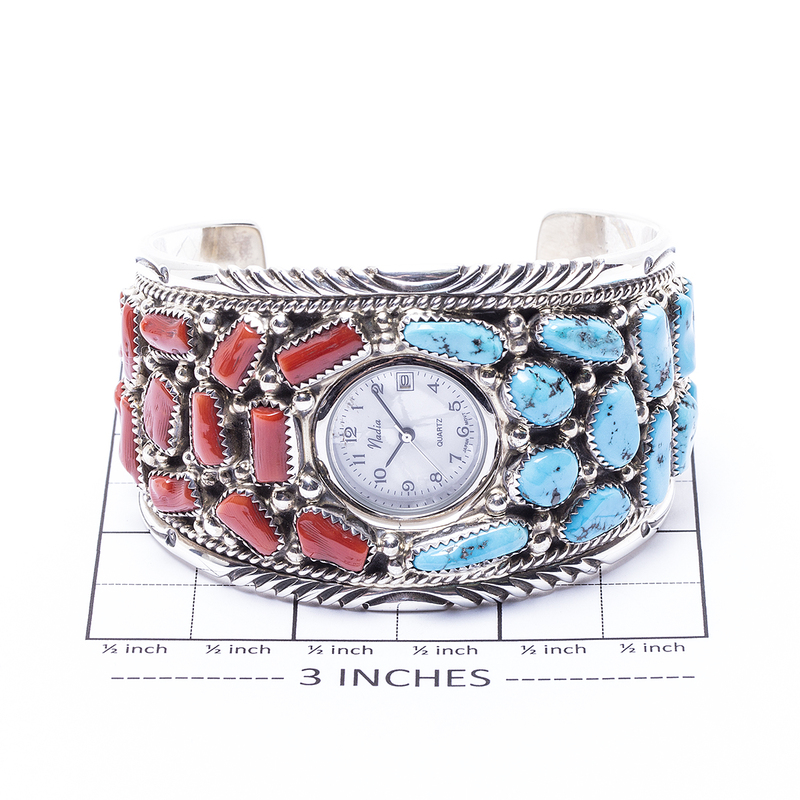 Navajo Tommy Moore Multi Stone Watch is a Turquoise and Coral cluster Sterling Silver watch made by Navajo Native American artist Tommy Moore.